CarGurus has 1,716 nationwide LS 460 listings starting at $5,950. As the flagship of Lexus’ sedan fleet, the 2016 LS 460 comes loaded with cabin amenities, V8 power, 18 cubic feet of trunk space, and, of course, a hefty price tag. It also offers standard rear-wheel drive (RWD) and optional full-time all-wheel drive (AWD). Once again available in 2 trims, the entry-level Base and the extended L, the upcoming year’s LS 460 sports a few minor upgrades, including a couple of new exterior colors: Eminent White Pearl and Atomic Silver. Further upgrades include some tweaks to the voice recognition technology in the Enform multimedia setup, new “enter” and “back” buttons on the unique remote controller, and Enform Service Connect smartphone apps that let you monitor vehicle health and service alerts. Run-flat summer tires are now optional for both trims, and some added adhesives increase the rigidity of the sedan’s body. The 2016 LS 460 Base trim rides on a 116.9-inch (9.7-foot) wheelbase with an overall length of 200-inches (16.7-feet), while the L edition rides on a 121.7-inch (10.1 foot) wheelbase with an overall length of 205-inches (17.1 feet). The Lexus 460 L's extra legroom is particularly useful when paired with the Executive Seating package, which includes rear seating for 2, an upgraded rear center console with chilled storage, high-end leather appointments, power sunshades, and rear-seat DVD entertainment. Standard exterior features include 18-inch alloy wheels, a power sunroof, and heated, reverse-tilt power mirrors. Inside, look for leather upholstery, power-adjustable front seats, memory for driver settings, and full power accessories. Cruise control, telescoping tilt-wheel steering, a remote garage door opener, dual-zone automatic climate control, and a rear-view camera are all standard as well. The newly upgraded Entune infotainment system, featuring Bluetooth integrated hands-free calling and GPS navigation, also remains standard, as does a premium entertainment system with a CD/MP3 player, 10 speakers, satellite radio, and an auxiliary audio input. 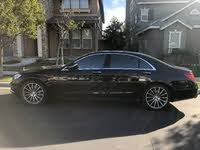 The LS 460 is also eligible for a number of packages and standalone options, including the popular F Sport package with its 19-inch alloy wheels (mounting new run-flat summer tires), Brembo brakes, limited-slip rear differential (RWD only), sport-tuned air suspension, variable gear ratio steering, upgraded adjustable drive settings, and 450-watt Mark Levinson ultra-premium sound system with 19 Surround Sound speakers. Other options include 4-zone automatic climate control, rear-seat audio controls, and heated front and rear seats. Powering the 2016 LS 460 is a 4.6-liter V8 engine managed by a standard 8-speed shiftable automatic transmission for 386 hp and 367 lb-ft of torque on RWD trims, 360 hp and 347 lb-ft of torque with AWD. Mileage numbers remain a tepid 16 mpg city/24 highway/19 combined in RWD editions, with AWD versions getting an estimated 16/23/18. One track test has the current LS 460 going from 0-60 in 6.1 seconds, which is a bit slower than most rivals, but there are also 3 driver-selectable cruising modes, Normal, Eco, and Sport S, that tweak throttle response and shift points to reflect your driving mood. Standard safety equipment aboard the 2016 LS 460 includes 4-wheel antilock brakes, traction and stability control, front side-mounted airbags, front and rear head-protection airbags, daytime running lights, front fog/driving lights, self-leveling high-intensity-discharge (HID) headlights, turn-signal-integrated mirrors, a remote antitheft alarm system, and a post-collision safety system bolstered by Entune emergency telematics. Optional safety equipment includes blind-spot monitoring with rear cross-traffic alerts, adaptive cruise control, forward collision avoidance with pre-collision braking, and a driver attention monitor. The Executive Seating package also comes with knee airbags. The only available safety ratings for the current LS 460 come from the Insurance Institute for Highway Safety (IIHS), which gives the sedan its highest score of Good in all categories. Lexus, the luxury spinoff of Japan’s Toyota conglomerate, offers the 2016 LS 460 to challenge the Audi A8 and BMW’s 7 Series, each of which offers--in the opinion of most reviewers--a more engaging drive. Other rivals include the Mercedes-Benz S-Class and Jaguar’s XJ. 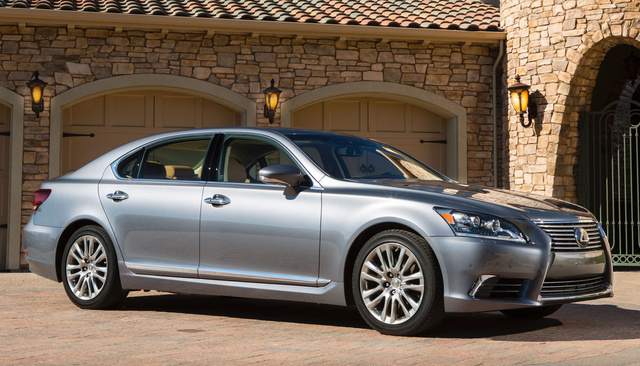 What's your take on the 2016 Lexus LS 460? Users ranked 2016 Lexus LS 460 against other cars which they drove/owned. Each ranking was based on 9 categories. Here is the summary of top rankings. Have you driven a 2016 Lexus LS 460?